Two terms that have been used incorrectly by some real estate agents and brokers are the addendum and the amendment. Though both can modify the content or terms of a real estate contract or purchase agreement, it's a matter of when you're doing it that dictates which is used. You're a real estate agent that's preparing a purchase contract or agreement for your buyer clients. They're buying a home with the desire to place a home legal practice office in the residence. At the time of the submission of the offer, it's not clear from documents in hand if the local ordinances will allow this legal office in the residence. In this case, you might prepare an addendum to the contract stating that the purchase is contingent upon verification to the buyers' satisfaction that they can have the legal office in the home. 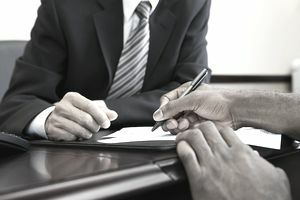 The key to the use of the addendum is that it is made a part of the original offer submitted and if the offer is accepted, it will be part of the agreed terms. The contract laws and common boilerplate contracts used by real estate agents differ by state. However, when addenda are allowed, and they almost always are, they can be used for almost any purpose to clarify and require agreement on items not a part of the main contract. The buyer may add an addendum to have the property fully surveyed rather than accepting a lesser title company solution like an Improvement Location Report. This could be because the buyer has plans for the property that will require a full survey and is trying to leverage their negotiation to get one for free. Other addenda commonly used are disclosure forms and special inspection requirements. In NM, the Septic Inspection Addendum accompanied every contract for a home with a septic system. There was also a state disclosure to the buyer about septic systems included separately as well. Sometimes certain addenda are not required but are available or suggested. If it is some sort of consumer disclosure and not required, why not use it, as you're providing more information to your client that helps them through the process and may reduce your risks. You've gotten the purchase agreement accepted, all parties have signed, and you're moving forward toward closing. A survey turns up an encroaching fence built by a neighbor. The buyers would like the fence moved prior to closing to eliminate the problem. If this is to be made a part of the agreement, then the contract must be amended. The key here is that we already have an agreement, signed and sealed. This is a change, thus an amendment. These type of situations, common related to inspections, are often handled as objection forms and then resolution forms. They may not have Amendment in the form title, but the effect of including them makes them amendments, as they will change the basic agreements in the contract. Let's say that the septic inspection turns up that the leach field is too small and doesn't comply with current regulations. The buyer would object and demand that the seller correct this at their expense before closing. If the seller agrees, or if they negotiate some payment agreement, this becomes an amendment to the contract, even if it isn't titled "Amendment." Amendments to the original terms of the signed contract are very common. They can relate to title issues, property condition, and correction of problems, discovery of issues in the application for insurance, and even appraisals. Let's say that the appraisal comes in a few thousand dollars lower than the agreed-upon purchase price. At this point, we have a whole new negotiation. The buyer will want the seller to drop the price to the appraised value, but maybe the seller doesn't agree and wants more down payment from the buyer. They can come to an agreement somewhere in the middle to save the deal. If they do, the contract is amended and the transaction continues. Just try not to look unprofessional and have the title company or an attorney point out that you used an Amendment form when it should have been an Addendum or the other way around. Know the terminology of our business, especially the legal stuff.